Sources say that the People’s Progressive Party (PPP) is leaning towards former Guyana Defence Force (GDF) Chief-of-Staff, Brigadier Retired Mark Phillips to contest as its Prime Ministerial Candidate alongside its Presidential Candidate, Irfaan Ali, in the upcoming general and regional elections. Guyana Standard understands that he is not alone in the race but is definitely a front runner. Sources indicate that Minister Juan Edghill is also under consideration. However, if Edghill is selected as the party’s prime ministerial candidate, this would be a stray from the PPP’s tradition of choosing a civic member to run for the prime ministerial spot. 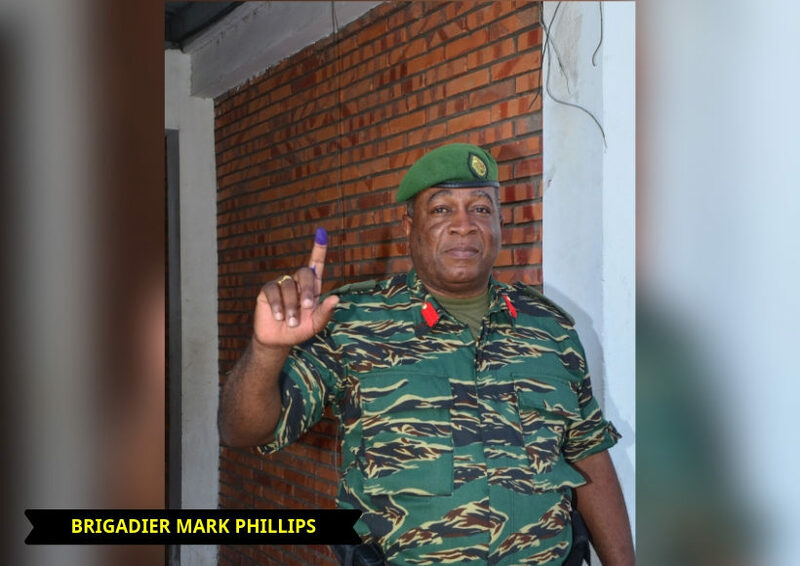 It was former President Donald Ramotar who approved Phillips’ promotion in 2013 and consented to his leading of the GDF. Phillips hails from Linden, where he attended the Christianburg Primary School and the Christianburg Wismar Secondary School (Multilateral School). He joined the GDF in December 1980 at age 19 and served until 2016. He is a graduate of the Royal Military Academy Sandhurst, in the United Kingdom and has held several appointments, including Colonel (Administration and Quartering), and Colonel (General Staff) in the GDF’s Defence Headquarters, during his 30 years of military service. He was also Guyana’s Head of Delegation to the Inter-American Defence Board from 2008 to 2009 and was, up to 2011, Guyana’s non-resident Military Attaché to Venezuela. He holds a Bachelor’s Degree in Public Management from the University of Guyana (1998), and a Master’s Degree in Public Sector Management.